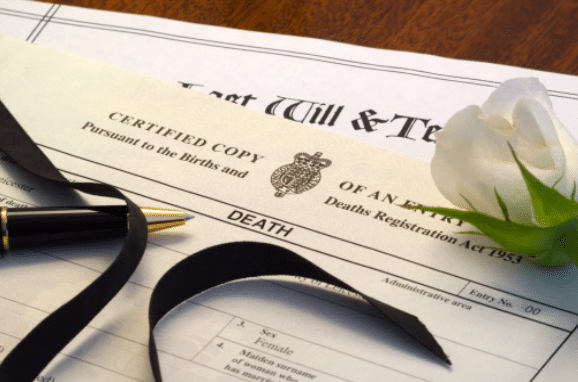 Since December 2005, the procedures delegating how to register a death in Ireland changed. The next-of-kin must register a death. The Hospital, Nursing Home or Residential Care Unit where the death occurred will no longer register the death. A Medical Doctor does not issue the Death Certificate. The Death Notification Form is issued by the Medical Doctor/General Practitioner who attended the patient in his/her last illness. This Doctor must have attended the patient within 28 days prior to death and must be satisfied as to the medical cause of death. Part 1 of the Form must be signed by the Medical Practitioner stating the cause of death. Part 2 of the Form must be completed by the next-of-kin/relative giving additional personal details of the deceased, e.g. date of birth, PPS number, occupation, marital status, address, etc, etc. This Form, having been completed by both the Doctor and the next-of-kin/relative, should then be taken to any Registrar for Births, Marriages & Deaths in Ireland where the death will then be registered. This must be registered within 90 days of the death taking place. Having registered the death, a copy/copies of the official Death Certificate may be obtained for 8 euro from the same Registrar's Office.